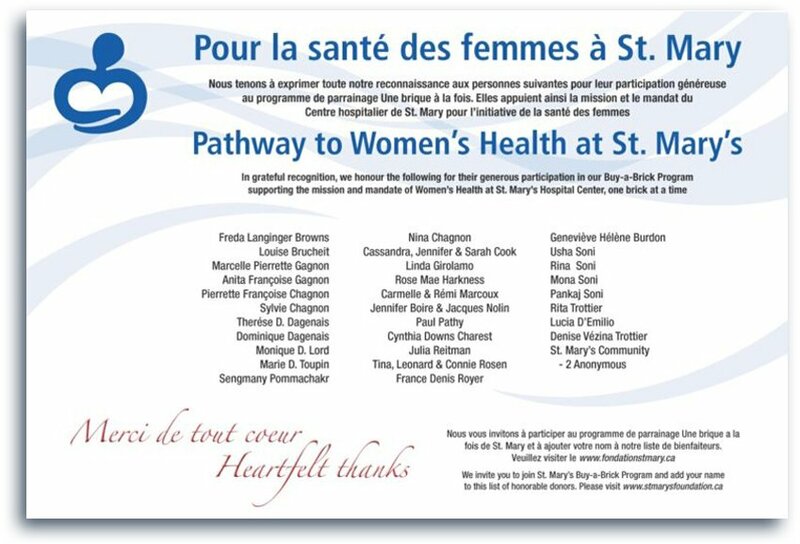 St. Mary’s Hospital Foundation provides original fundraising programs to support specific initiatives in our Hospital. Participation in these programs not only allows our donors to invest in the enhancement of patient care, they also provide a manner in which they will leave a legacy at St. Mary’s. At St. Mary’s, we understand that comfort is reflected in many things, and the bed we provide is one of them. 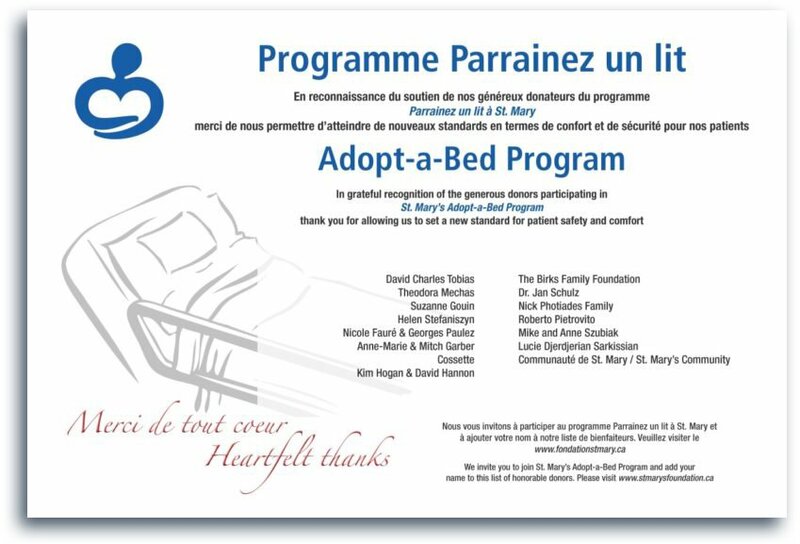 Our Adopt-a-Bed Program is an ambitious initiative to replace each of our 271 hospital beds with a brand new state-of-the-art bed which will go a long way to help us set a new standard for patient safety and comfort. In honouring those who have chosen to stand in solidarity for the women in our community, we remember the women whose lives have been lost and we celebrate those continuing to fight. Be a part of our Buy-a-Brick Program and support the mission and mandate of Women’s Health at St. Mary’s, one brick at a time. Cindy Aikman, Manager, Marketing and Communications by email or by phone at 514.734.2694.